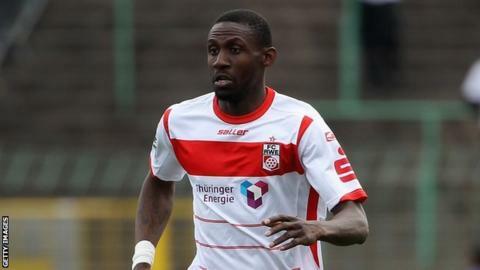 Former Wigan Athletic defender Steve Gohouri has died at the age of 34. Gohouri made 42 appearances for Wigan between 2010 and 2012 and also won 12 caps for Ivory Coast. On 12 December, Gohouri was reported missing after attending the Christmas party of his German club TSV Steinbach. He was meant to visit his family in Paris but never arrived. German police confirmed his body had been found in the River Rhine in the western city of Krefeld. In a statement they also said there were no suspicious circumstances surrounding Gohouri's death. Wigan Athletic tweeted: "We are saddened to hear reports of our former defender Steve Gohouri passing away. Our thoughts are with his family." Gohouri moved from Ivory Coast to France as a five-year-old, where he was raised in the suburbs of Paris. He began his football career in France but played for clubs in Israel, Switzerland, Liechtenstein, Greece and Germany. He signed for then Premier League Wigan from Bundesliga stalwarts Borussia Monchengladbach in January 2010.